“Is the 401k DOA? Time to Bring Back Pensions? 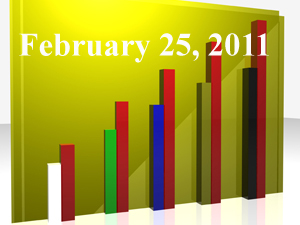 Fiduciary Implications for Corporate Plan Sponsors” (Fiduciary News, February 23, 2011). The mass media has been trashing 401k plans ever since Time Magazine’s 2009 cover story. Maybe we can learn something from Madison’s protesting public employee unions. Maybe there’s something more to being a fiduciary. Something even the DOL doesn’t tell us. There are those who refuse to believe the 401k concept is under siege. You can’t blame them. They see the idea of the personal financial freedom 401k plans offer as inarguable. They may be right about their logic, but, unfortunately, a review of last week’s articles suggests their syllogistic prowess blinds them from the oncoming assault. The be fair, not all the news was bad, it’s just that the news cycle ignored the good stuff. “Will New Rules Nudge Up 401k Costs?” (CFO.com, February 18, 2011) If you think 401k plans have problems now, just wait when more of your retirement money goes to address government compliance issues. Yes, according to this story, those very same people that are trying to save you from having your retirement robbed are causing your retirement assets to be robbed. “Retire and Money: What to Do If You Haven’t Saved Enough for Retirement,” (CNBC, February 23, 2011) The authors claim nearly half the people would run out of money if they lived 20 years beyond retirement (there’s that magic age of 85 again). The article blames an “ostrich mentality” for people not saving enough in their 401k. It doesn’t blame the 401k. “7 Reasons Americans Can’t Save for Retirement,” (USNews.com, February 23, 2011) Are we seeing a trend here? Is it possible Americans are simply just too dumb to handle their own finances? If it’s true they’re aren’t financially mature, doesn’t this justify someone stepping in and acting like their parents? “Fidelity: Market gains push 401ks to record high,” (Reuters, February 23, 2011) It’s amazing what a healthy stock market can do. Could this good news be enough to wash away all the negative stories we’ve been seeing? “Fidelity Data Shows Engaged Retirement Plan Participants,” (PLANSPONSOR.com, February, 23, 2011) Here’s an interesting idea: If you get people involved in something, they’re happier with it. That’s what this survey found. A more interesting idea: It’s easier to get involved if you know how to use the internet, so is it any wonder younger folks are happier? This trends speaks well for the 401k of the future. Surely, all this good news should offer enough to quell the reports reporting the premature death of the 401k plan concept. “Wisconsin Battle Underscores the Failure of 401k Plans,” (CBS MoneyWatch, February, 25, 2011) This is a major news story from a major outlet written by a major writer. If you don’t think there’s a growing credibility issue regarding 401k plans, please read this article. It also contains a very scary element – while acknowledging the unfunded liability issue of pension plans, it suggests we introduce the same concept into 401k plans. If the 401k plan is a molehill, then the pension plan is a mountain. Notwithstanding the – some would say “naïve” – of the CBS writer immediately above, it’s become a developing consensus the time has come for the governments of this new century to recognize the mathematical realities of pension plans realized by private companies decades ago. Of course, politics being politics, the colorful nuances of political fantasy can, as it has for generations, trump the black and white reality of mathematics. “Public employees, not taxpayers, will pay for changes to the state’s five pension systems under House bill,” (Cleveland Plain Dealer, February 20, 2011) Here’s another example of the trend we’re seeing in state capitals. Unfortunately, shifting the liability of public employee pensions from taxpayers to public employee workers only sweeps the dirt under the carpet. It fails to address the real “Ponzi-like” issue with pensions. “California teachers’ pension system headed toward insolvency,” (San Jose Mercury News, February 22, 2011) You have to feel sorry for the folks living in California, especially for those expecting to get a pension. At some point, the Golden Bear will have to run out of fleece. “MS Pension System Agrees to Delay of State Contribution Increase,” (PLANSPONSOR.com, February, 24, 2011) Any corporate pension fiduciary could see the folly of this maneuver. The issue isn’t a year’s worth of contributions, it’s the entire pension concept itself. Until Mississippi confronts this hard reality – just as private companies did in the 1980’s – their problems will probably continue. “Scott Pension Reform Presented to FL Legislative Panel,” (PLANSPONSOR.com, February 24, 2011) Could Florida actually lead the nature in the long delayed evolution of public retirement plans from defined benefit to defined contribution? Rather than going with the tried and true it appears regulators appear to prefer to either tread on terra incognita or simply pass the baton when it comes to various regulatory proposals. “Effective fee disclosure means sponsors must think beyond regs,” (PLANSPONSOR.com, February 21, 2011) Here we get to the heart of the problem of the DOL’s new fee disclosure rules – do 401k investors have enough financial literacy to interpret this information. Unfortunately, the story makes it sound as if there’s a solution. While presenting an adequate array of behavioral finance issues, the article advocates a “solution” without any real foundation. A bigger question might be: Do plan fiduciaries and their regulators really understand the meaning of this data? Folks, when are we going to stop talking and start doing something about these issues? “GAO lifts hood on target date funds – and finds big problems,” (Investment News, February 24, 2011) This article pretty much sums up the following adage: The only thing slicker than a politician is a financial product sales rep. Chosen as the “Holy Grail” in 2006 by regulators, target date funds had no discernable track record, no consistent nomenclature and many would have been illegal back in the days when funds of funds were illegal. Still, everyone jumped into the pooled. And then the market blew up, exposing the entire charade. You’d think this would have been enough to close the book on them, but no. Regulators still seek to square this square peg into a round hole. Still, the GAO, as outlined in this article, did a good job presenting the problems with Target Date Funds in a clear and concise way. “ING hid kickbacks from fund firms in 12b-1 fees: Suit,” (Investment News, February 25, 2011) Could this be the crack in the dam that opens up the floodgates? A 401k plan sponsor sues a big financial firm, “charging that the insurer received kickbacks from the mutual funds it offered to its plan clients.” You’re probably saying to yourself, in your best Claude Rains impersonation, “I’m shocked!” The plaintiff claims breach of fiduciary duty. Of course, similar law suits have gone in favor of the defendant, who generally won by claiming they never offered investment advice, which, in turn, circles back to regulatory realities. 401kBasics: Plan Sponsor Quick Tips: Common Plan Mistakes – Were hardship distributions made properly?